Maksim Chmerkovskiy says he "can't wait" to dance with Vanessa Lachey on next week's episode of Dancing with the Stars. The 37-year-old professional dancer said he's "excited" to return to the ABC reality competition in a tweet Tuesday amid rumors he missed Monday's performance because of a feud with Lachey. "New week! VEEEEERY excited for @DancingABC new dance studio and new dance with @VanessaLachey! Can't wait to be back at the Ballroom!" he wrote. New week! VEEEEERY excited for @DancingABC new dance studio and new dance with @VanessaLachey ! Can’t wait to be back at the Ballroom! .... and want to apologize to my partner Vanessa. We are both looking forward to dancing for our fans next week! Dancing with the Stars host Erin Andrews explained Monday that Chmerkovskiy missed the episode because of a "personal issue." The dancer was later spotted at dinner with brother Val Chmerkovskiy and their parents. "There's a big chemistry issue," a source told People of Chmerkovskiy and Lachey. "They both have big personalities and that's not always the best recipe for a good partnership." "They've been fighting a lot," the insider added. Lachey said Tuesday in an interview with Us Weekly that she appreciates Chmerkovskiy's training, but confessed she often keeps quiet in rehearsals. "I just know that when I'm on set he's my coach and I'm the student, so I listen a lot more and I don't speak up as much because this is a field I don't know," the television personality said. "He's trained me and taught me so many amazing, wonderful new things." "But at home I think I'm a lot more outspoken!" she added. 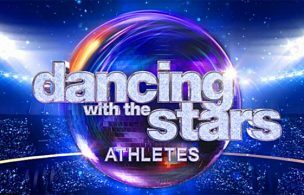 Dancing with the Stars airs Mondays on ABC.